The Fields Rug Collection combines beautiful yet casual stripes in natural colourways to appeal to many different spaces in the home. The Fields Rug range is part of the Natural Weaves Collection by Asiatic Carpets. This whole collection celebrates flatweaves and the use of natural yarns and fibres for modern pieces for the home. 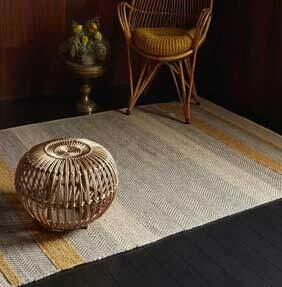 Each Fields rug is handwoven in India and it is made from a combination of 50% wool, 35% cotton and 15% viscose. Each rug is crafted with care and close attention to making the most of the natural yarns brought together to create its weave. Each rug can be enjoyed in a choice of neutral colourways and a choice of two rectangular sizes.